Experiments with established Bandai Namco properties like Tekken in the free-to-play world have proven successful for the company. In response, it is taking a gamble with an expensive, brand-new IP. Rise of Incarnates is a completely new franchise, placed in a genre mostly unknown to the United States, and it will be free-to-play on PC. The first thing to notice about Rise of Incarnates is it doesn’t look like a free-to-play game. The level of detail on display in both the character models and environments exceeds a level of visual quality seen by the most popular free-to-play games. I describe it as expensive based not only on my own perception the game, but also because of the way representatives from Bandai Namco spoke about the game at a recent event. They hope for the franchise to be Avengers-caliber and are building it up as such joking that the game’s CGI teaser trailer cost the company $1 billion. The game mechanics are based loosely on the extremely popular in Japan two verses two action franchise, Gundam Versus. It’s a series Incarnates executive producer Ryuichiro Baba had previously worked on for 10 years. 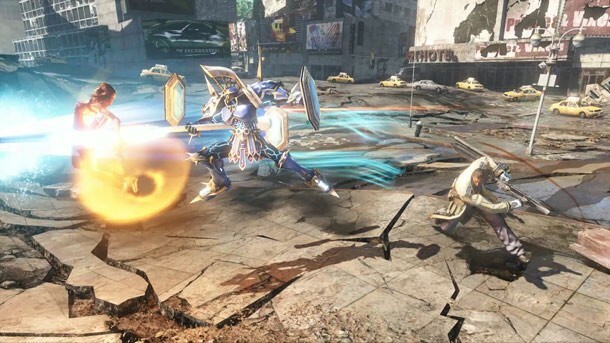 Several years of market research has convinced Bandai Namco the free-to-play, two versus two action game model can be popular outside of Japan, but rather than just bring over Gundam – which would only appeal to a small group of fans – it decided to create a whole new franchise, which is how Rise of Incarnates was born. The game, which has been in development for three years, is based in a near-future world where some humans have awakened abilities allowing them to use the powers of gods and demons. Some characters transform into super-powered gods and demons, while others can summon gods and demons to help them fight. Then there are characters like the mad scientist Dr. Gasper Watteau – Grim Reaper – who has the bizarre power to summon waves of corpses to use as an attack. The characters are all based on established mythologies recognized around the world. Revealed characters include Jedrek Tyler who can transform into Mephistopheles, Terrance Blake who can summon Ares, Mireia Vaentin who can transform into Lillith, and Dr. Gasper Watteau, the Grim Reaper. Mephistopheles, a balanced character, has the ability to transform into a powerful god. Ares, as in the Greek god of war Ares, is a strong and slow character with the ability to summon a god to help him fight. Lilith, like Mephistopheles, is able to transform into a powerful god, and favors speed over power. Finally, the mad scientist Grim Reaper offered the most visually interesting powers with a gigantic scythe, and the wave of attack corpses mentioned earlier. Rise of Incarnates does have a story, but to discover it, you will have to venture outside of the game to read a free web comic Bandai Namco is planning to update frequently. According Bandai Namco, Marvel has shown interest in publishing the comic, but that’s all it was willing to say. The teaser for the game shows glimpses of London and Paris, but the level on hand for us to play was a ravaged New York City street. 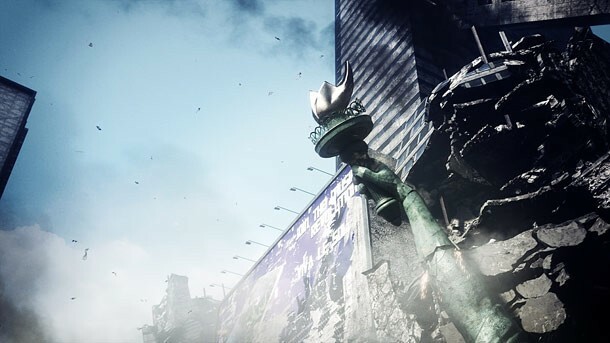 A remnant of the Statue of Liberty, specifically her decapitated head, is wedged into a nearby building, resting there as though it has been thrown. Combat is a mixture between lock-on shooting and close-up melee attacks. All the characters are able to move around the level quickly on the ground, and also have the ability to fly into the air and fight. The closest game I can relate it to is Dragon Ball Z: Battle of Z. The action is fast and spans the entire level. There are options for defense, but during my few runs, I played all offense. I fired off my long-range weapons at those in the distance, and quickly closed gaps for the far more effective close-up combat with high-speed dashes. I was able to spend time with Mephistopheles, Lillith, and the Grim Reaper and the latter ended up offering the most memorable experience because of his insane super-human corpse calling ability. In my short time with the game, I struggled to get a grasp on strategy outside of speeding up to my enemies and pressing the attack buttons as fast as I could, but Bandai Namco assures time with the game opens up the strategy. It is hoping it can enter into the world of professional fighting games as its assorted developers have a history with the genre with games like Tekken and Soulcalibur. Other than the general popularity of the two versus two mechanic established in Japan, Bandai Namco is hopeful the game will gain popularity for other reasons. Teams of two players mean there is never any confusion over who your teammate is, and two is a helpful number for welcoming newcomers. If you lose a match, it’s easy to refocus blame on the only person you can – your teammate. If you win however, since the team is only made of two people, psychologically, it is easier to award yourself credit for bringing your team to victory. Win or lose, Bandai Namco says a two versus two game can be rewarding. 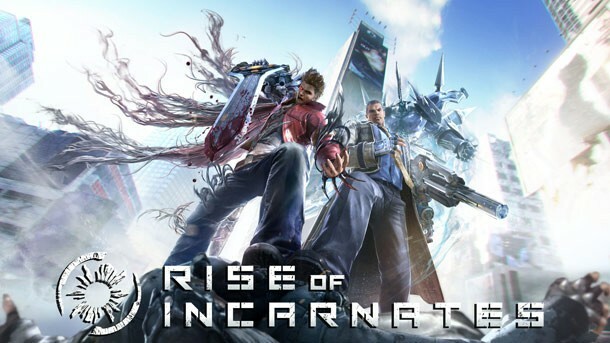 Bandai Namco has huge hopes for Rise of Incarnates. It wants the game to represent a new sub-genre in the world of fighting games. With all the presentations, interview opportunities, and hands-on time with the game offered by Bandai Namco, it's clear the publisher is excited about the project, but we'll have to wait and see if it generates the same excitement Gundam Versus has in Japan. I asked executive producer Baba if the development team was looking at games like League of Legends and other popular MOBAs for reference, and he said no. Its source of inspiration in terms of action games comes from fighting games, which certainly sets it apart. If only for its genre innovations in the world of free-to-play – a world populated with shooters and MOBAs – it will be worth keeping an eye on. The game’s alpha will begin late May, early June, and you can sign up for it by heading here.